New Vaal South The Glen – Jeep Wrangler Sahara 3.6 litre V6 4×4 – for the adventurous explorer! New Vaal South The Glen is an upmarket dealership, which is located in the south of Johannesburg, specialising in the sale, servicing and parts, ordering and fitting of new vehicles such as Jeep, Fiat, Fiat Professional and Alfa Romeo. I was fortunate to test drive the Jeep Wrangler Sahara 3.6 litre V6 4×4, accompanied by friendly sales executive, Tabang. The Jeep Wrangler Sahara 3.6 litre V6 4×4 is an #oldschooliscool vehicle that you will instantly fall in love with. It has a rugged appearance with a lot of personality – definitely for those who are adventurous, or for the explorer at heart. While driving, Tabang mentioned that the Jeep Wrangler has 209kW maximum power and 347Nm maximum torque, with an estimated fuel consumption of 11 litres/100km. The Wrangler also assists you on-road as well as off-road, where it has the physical ability to navigate narrow gaps and escape emergency situations, avoiding damage thanks to precision steering and optimised wheelbases. 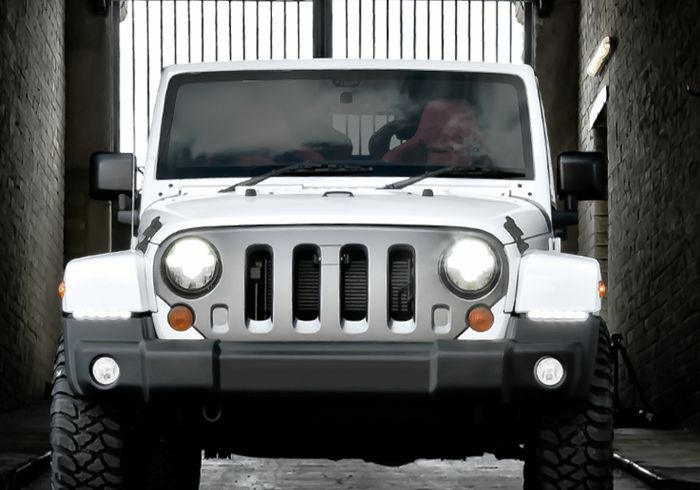 The Wrangler has advanced multi-stage airbags in front of the vehicle, tyre pressure monitoring systems, embedded sensors to notify the driver when any level drops below minimum acceptable standard, hill start assist and hill descent control, electronic stability control, halogen headlights and fog lights and heated power exterior mirrors, as well as many other features. Its height-adjustable driver’s seat adds to your driving comfort. The steering wheel places speed control, audio and standard electronic vehicle information centre control settings at your fingertips. Contact New Vaal South the Glen to find out more about the Jeep Wrangler Sahara 3.6 litre V6 4×4 or to book a test drive.